How a one sentence caption made this picture the most liked Instagram photo in Australia. 2. He is one of our favourite Aussie exports, and an absolute success story, of whom we are very proud. 3. He has the cutest kids; India, six, and three-year-old twins Sasha and Tristan. 4. He appears to be a very cute dad. 5. We adore his wife, Spanish actress Elsa Pataky. The caption attracted more than 50,000 comments, with many relating to the juxtaposition between a beautiful family photo, and the, er, brutal reality behind it. To celebrate winning Instagram for the year, Hemsworth partnered with the platform to create an IGTV look at his Insta-worthy life in Byron Bay. If you are a person prone to the odd bout of envy (ie, all of us), watch it at your own peril. 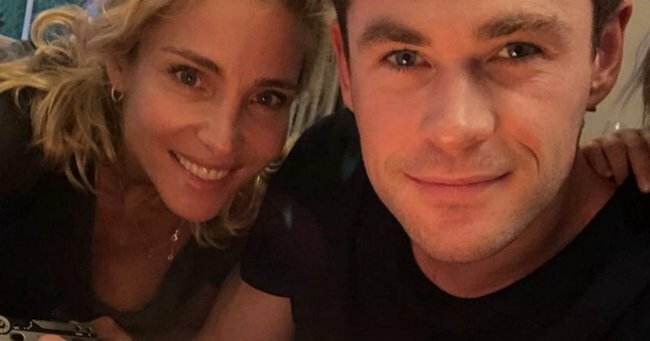 Here are some more highlight’s from Hemsworth’s ‘gram for your viewing pleasure. Kicking the week off with some good old fashioned “attack the bag cause it won’t attack you back and you’ll feel super tough” ??????????? ?